Excellent for everything from picnics to movies. 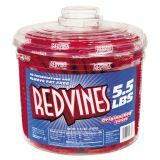 Red Vines Original Red Twists, 5.5 lb Tub - No other candy carries such feelings of nostalgia as our iconic Red Vines® Original Red® Twists. 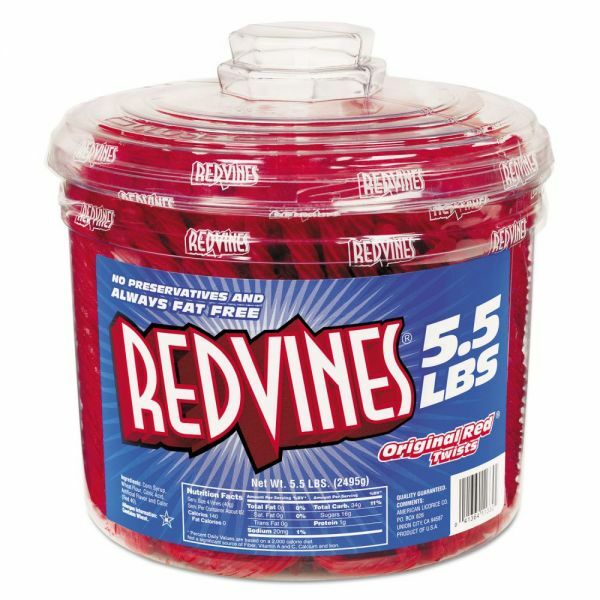 Treat yourself with yummy, sweet red licorice--the original and the best. Great for the whole family - red twists are a perfect treat to take along on a picnic, chew at the movies, or simply enjoy any time you feel like it.